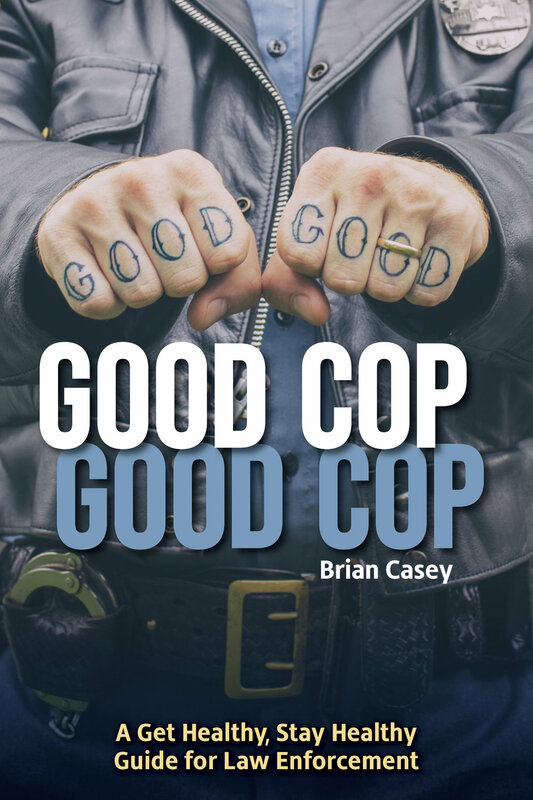 Good Cop, Good Cop: A Get Healthy, Stay Healthy Guide for Law Enforcement gives every officer the pep talk and essential strategies to not only survive a career in public safety, but to live well. Police officers’ health and wellbeing can be diminished as a result of personal neglect, lack of recovery from the flash-bang of psychological trauma, the slow burn of a steady diet of victim and victimizer, and intimate exposure to the suffering of others. An officer’s self-reliance, a problematic strength, can make them less willing to seek good help. And when they suffer, all of society suffers. Good Cop, Good Cop provides officers with the necessary skills and insights to help themselves and other officers. Good Cop, Good Cop is a first of its kind health and wellness book specifically for law enforcement. Individual officers, supervisors and those who command an agency will benefit from a range of topics that include stress, fitness, sleep, alcohol misuse, cop think, peer support, purpose-centered policing, psychological trauma, and inner and outer life. Mental health professionals and officers’ loved ones will gain a better understanding of the wellness struggles officers face, and how best to support them. Sergeant Casey’s decades of work in public safety and experience as a health educator enable him to describe in simple and relatable terms some of the most pressing mental and emotional issues officers encounter. Corrections officers, dispatchers, soldiers, paramedics, EMTs and firefighters wishing to get healthy and stay healthy will find Good Cop, Good Cop an invaluable guide. Good Cop, Good Cop can be used to build new or improve existing wellness programs with information scalable to agencies large and small. Police work is not safe or comfortable work, and cops are better off for it. This most consequential work requires both armor and agility. Cops must survive by their wits. If they get their minds right and play their part well, undeniable good is their reward. Those rewards are gaining wisdom, developing self-control, participating in justice, and demonstrating courage. Sergeant Casey directs law enforcement officers to do good work and to be a force for good. Good Cop, Good Cop may be purchased through Amazon. Group orders are available for agencies and groups of more than five.